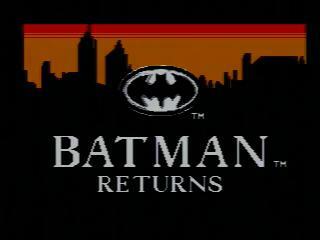 Released in 1993, Batman Returns follows the long tradition of Master System devs independently creating a distinct game for the system while a more famous version gets released for the SNES or Genesis. This particular title features branching routes and, in a clear break from the Genesis version, fun. Best time on Hard difficulty with large-skip glitches: 0:01:41 by Adam 'AdamAK' Kuczynski on 2012-08-08.
on it more seriously. It wasn't until Efreeti pointed out that one can skip nearly every stage thanks to some simple damage boosting (originally done with two deaths, but I can do it with one). As such, I now only complete half of stage 1-1, 5-4 and then go straight to the final boss fight. After about 600 recording attempts, here's what I managed to produce. *Crispy death: Using the ninja rope too soon, and swinging too low. This will make you go straight into the flamethrower's flame. *Height problem: Using the ninja rope too late, and swinging too high. This will make you miss the jump onto the platform to the right. *Incendiary walk: Walking into the second flamethrower's flame. Obviously, this kills Batman instantly and wastes around 2 seconds. a lot sooner, so that you only have to wait for a few frames before moving on. seconds due to such a mistake. *Explosive demise: Jumping too far on the small platform next to the second exploding guy. He'll explode all over your face. *Ninja failure: Missing any of the three ninja rope swings. They can be quite nasty and are surprisingly easy to miss when one is in a hurry. -Not getting on top of the van using a single damage boost. It's not a difficult trick, but this happened to me sometimes. -Failing to do all the ninja rope cancels throughout the entire stage. They save around 1-2 seconds, and the trick should be used whenever you can. of 5-4, despite being identical to the Hard mode damage boost. I have no clue how the trick actually works, but it's quite convenient. I reckon a TAS could make more use of the bottom route than I do. most likely be how I'd try to do it (though I highly doubt it's feasible). *Bad jumping: If you don't jump right after the level starts, Batman drops down one level on those watery stairs. It wastes about a second. *Untimely swings: Missing any of the three moving platform swings results in a slow and painful death. Also wastes about 4-5 seconds. *Radical crazy woman: There's an enemy that jumps around like crazy while throwing knives. Sometimes it'll somehow fly across the screen, in the middle of your path. You can see a crazy woman flying by near the end of this stage. I can't reach it and plunge to my death. *Easy to miss: I have to do several swings between blocks, and then jump on top of another small block. The second ninja rope swing is especially easy to mess up. Missing it wastes about a second or two, as I have to take a slightly different route (after falling down). *Resurfacing rascal: If you fail to do the last ninja rope cancel at the very end of the stage, it's quite possible to fall off the step and to hit the resurfacing enemy. spawn this time, despite nearly always being there. *Missing my final attack during the first phase. Wastes about a second, and costs me a life, since he dives right at me after passing by. *Getting hit by a bomb: They're not hard to avoid, but sometimes you just stand a tiny bit too close to where they fall. *Getting a bad first spawn during the second phase. His initial spawn point is random in this phase. The spawn pattern itself is fixed, though. but it makes the third phase a tiny bit slower. *Missing a single attack during the third phase. The ninja rope attacks I do are very easy to screw up, and you have to get all of them. I've found a way to (very inconsistently) manipulate where he spawns during the second phase, and force him to appear to my left hand side. spawn manipulation, but he always seems to require an extra blow when I manage to strike him thrice during a spawn. A 1-round bossfight thus seems impossible. Every part of the bossfight goes perfectly, and I don't see any room for improvement.